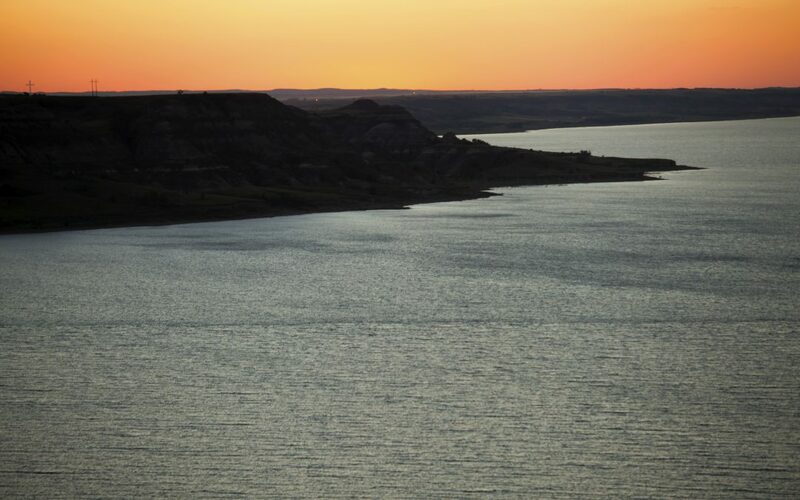 Public meetings are planned on the Ferry Feasibility Study for Lake Sakakawea! Thursday, September 22 in Parshall at 11:00 at the Red Hall and Twin Buttes at 4:30 at the Community Center. The route they studied will reconnect Old No. 8 from White Shield segment to Twin Buttes. It will be an interesting report. 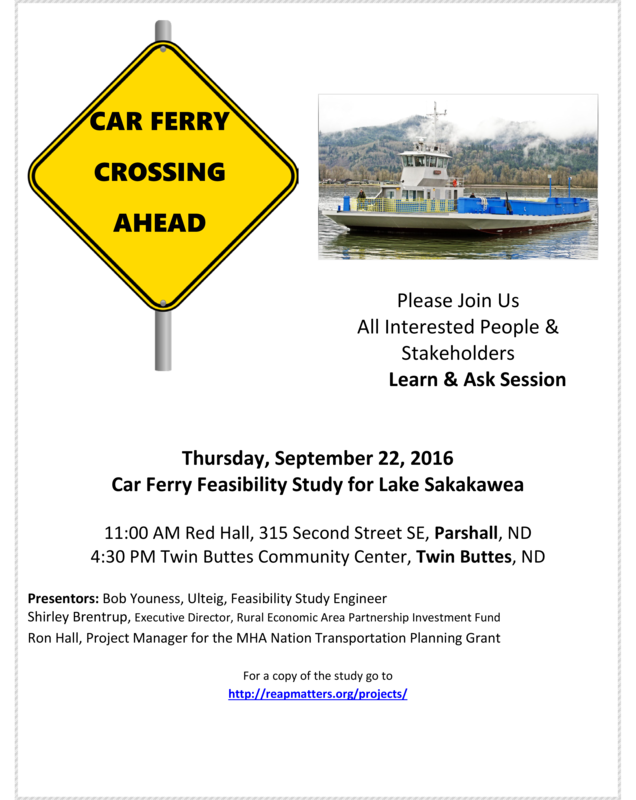 The Ferry Service and will impact the MHA Nation Public Transit Plan that will be starting up in the next few weeks. 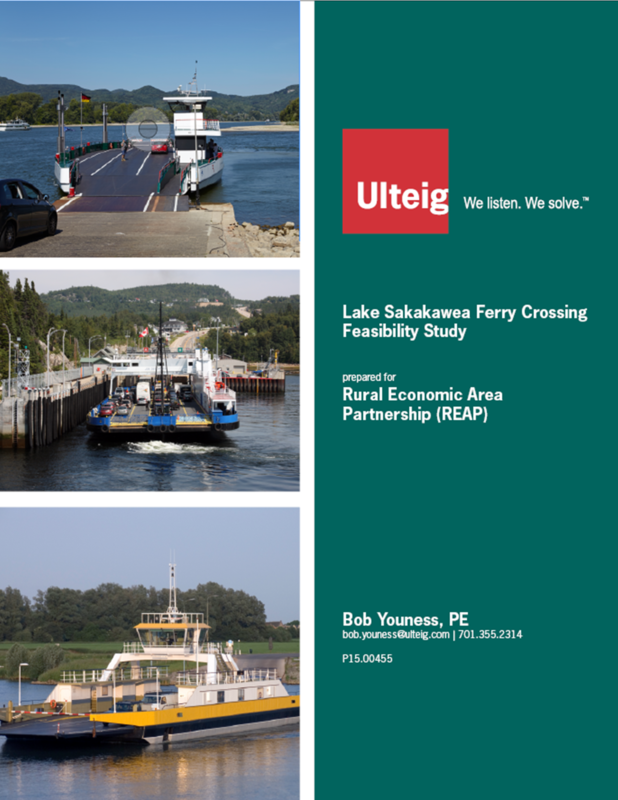 Click the images below to view the Ferry Feasibility Study Report and the Public Meeting Announcement!